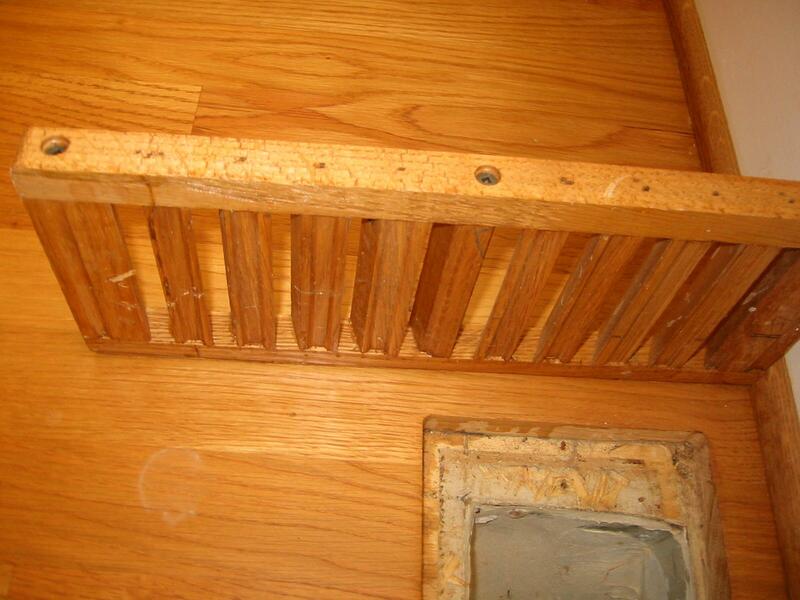 Volko Wood Floor Vents Air Grilles and Registers... help sizing stock and custom wood vents. 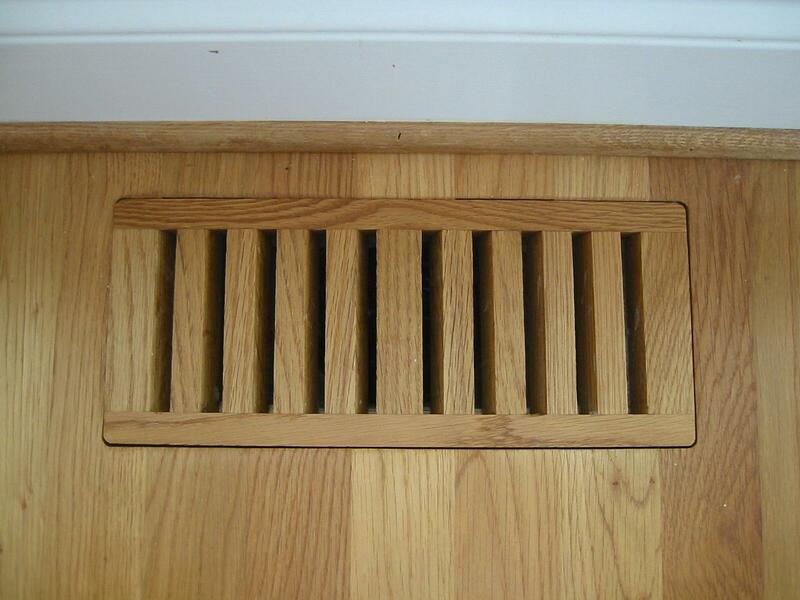 Most wood vents are ordered by the duct opening or "rough" opening especially insert / surface mount vents. 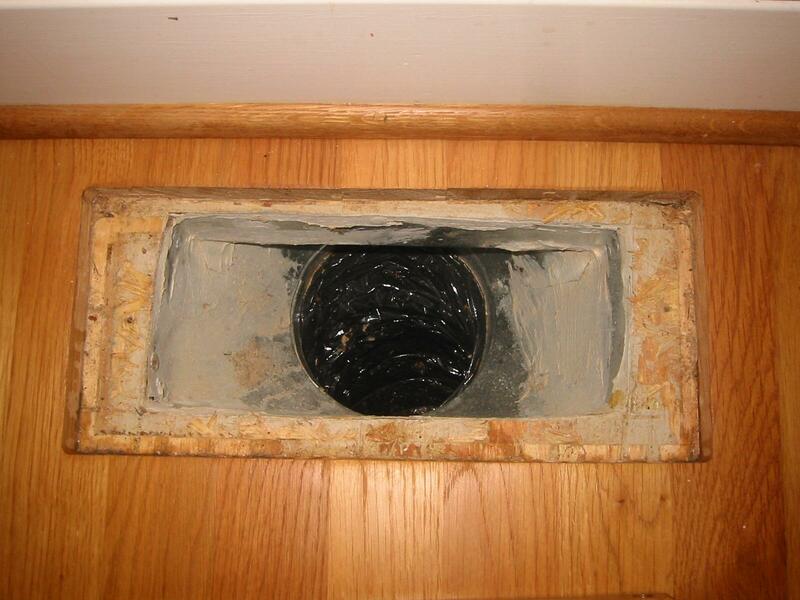 Here are some pictures to help you understand what to look for to properly size a wood vent. Call 800 685 8263.... we will be happy to help go over your measurements, help size and quote. 1. Where is the opening located? Floor, Wall or ceiling? Ceiling and wall vents are best ordered as "inserts". The flange will cover the opening's rough cut and can be drilled for fasteners. Any large wood vent needs to be supported. 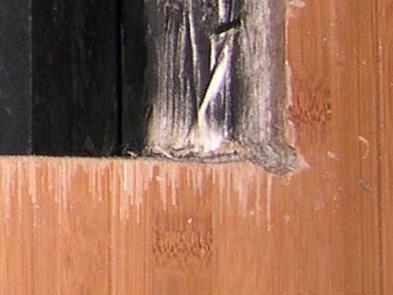 If there is no "rafter" to shim, a wood cross brace can easily be installed. 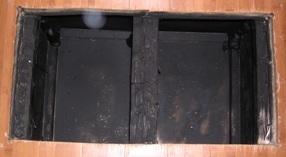 Wood vents, when supported properly, can be used for larger openings and in high traffic areas. Note any moldings or obstructions near the opening.... This door jamb makes a tough installation. Close/patch the opening with extra flooring to create a cleaner opening for a vent. 2. Is it a metal duct opening? Or a cut "rough opening"? 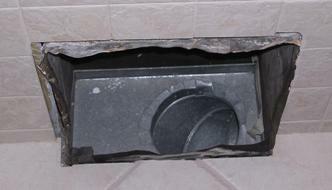 Metal openings are sometimes tricky as the duct work may "bow" inward.... check for "play" and adjust to a stock size. Rough cut openings can also fool you into ordering custom vents. 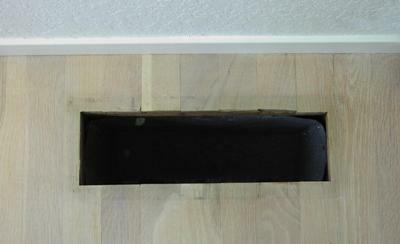 A 3 3/4" x 12" opening and a few swipes with a wood file can fit a 4 x 12" stock vent. Measure everything...and send a picture if you can. 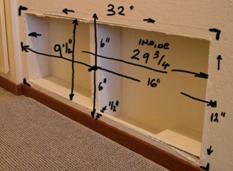 Provide as many measurements as possible. Measure twice, order once. Is there enough room between the opening and the wall molding. Will the 3/4" flange be big enough to cover any splintering? 3. Will it be flush or surface mounted (insert)? Inserts can be installed for floor wall & ceiling applications. Flush vents are best installed before any surface installation. 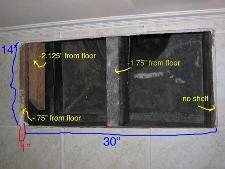 Flush with frame vents are floor installation only. 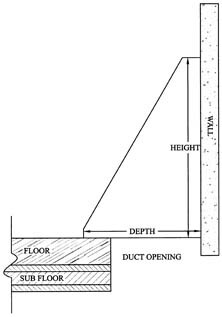 Flush vents are standard 3/4" thick and can be "fitted" flush in an existing surface by cutting the floor opening larger to expose the sub floor. 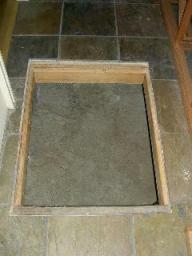 The sub floor acts as a shelf to support the vent. 4. What type & style wood vent? 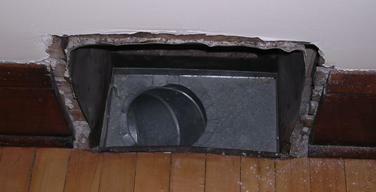 Basevents are usually installed over a duct opening located in the floor up against a wall. 5. What type of wood and finish? 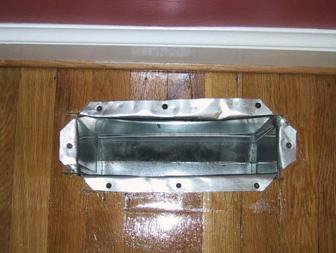 Choose unfinished vents which are clean and sanded ready for on-site finishing or factory finished. 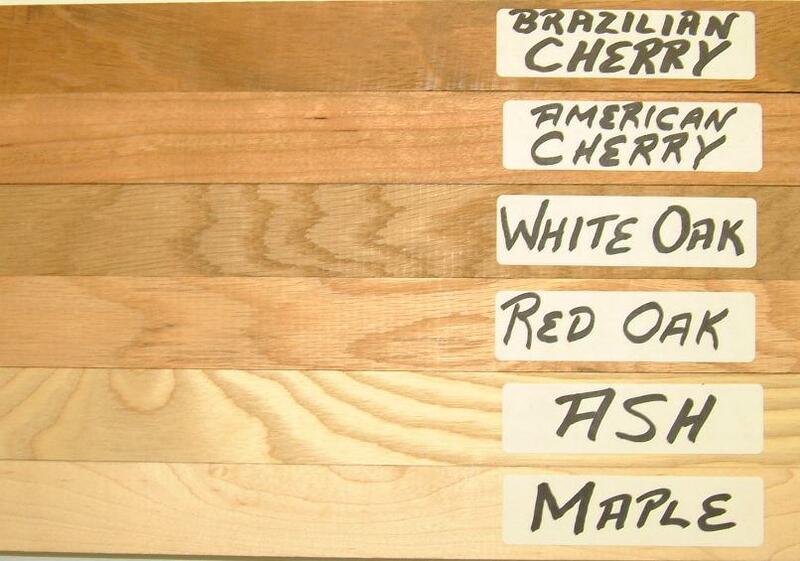 We can provide clear and custom stain finishes. 6. What type of air flow works best for the application?